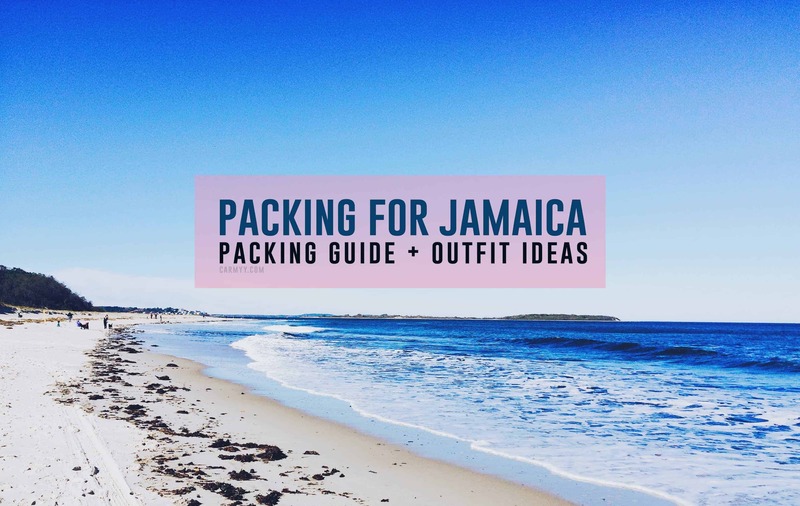 Guess who’s packing her bags and heading out to Jamaica again? Yep – this lucky gal right here. Come see what I’m (over) packing! This post is brought to you by Jamaica Tourist Board – thanks for supporting those who support me to bring you content 🙂 Also, thank you to our hotel partners: Bluefields Bay’s Luxury Beach Resort and Half Moon. So I’m in for a little bit of a treat – in a few days, I’ll be heading out to the sunny island that is Jamaica. Of course that meant I had to go shopping because there’s only so many pairs of gym shorts I can pack and I’d like to you know, where some real clothes on occasion. On Wednesday, my bestie and I braved the mall trying to not get run over by teenagers to snag a few new items for my packing list. The last time I went to Jamaica, I pretty much packed 5 tee shirts and 5 pairs of shorts and called it a day. I also forgot to pack an extra swimsuit and had to buy a one piece from their tourist shop because my original one was still wet! So this time, I’m planning a week ahead and have a better idea of what to pack. Oh and before you email me going “wtf Carmy?” when you see my colour choices below, I know. I apparently went from owning all the colours of the rainbow to somehow only bringing almost all dark colours! I just felt that it was the most versatile colour for myself as I do not have the trip itinerary yet so I want to make sure my outfits are not just comfortable but also practical. I may melt a bit but it won’t be the end of the world. Also, I get a whole checked luggage to myself and won’t be sharing so I have so much room to fill! Day/Night Clothes | Dresses are the most versatile item I have in my closet. I can dress them up or dress them down. I’m bringing with me (from left to right) a wrap dress from Abercombie&Fitch, a jersey dress from H&M (mine has poka dots on it but I may also pack my plain black one too…), and a tee shirt dress from Old Navy. As Jamaica is a pretty chill place in general, I’m comfortable with going from day to night with my dresses and just swapping out my Birkenstock sandals for some closed toed shoes such as my Sam Edelman Felicia Floral Flats. I’m also packing two skater skirts, one black and one maroon just in case I want a bit more variety in my wardrobe (can you tell packing light is not my speciality?). I find that it is way easier to travel with dresses as that means instead of packing two items, I only need one but I’m packing some skirts in case I spill anything on myself ha. And instead of regular shorts, I’ll be packing my gym shorts because they’re way more comfortable (more down below). I’m also packing a loose tank top from H&M, a chambray from Old Navy, a loose teeshirt from somewhere, and a light rayon long sleeve blouse from Uniqlo (but in navy instead of purple). Yes, I am packing a long sleeve. Let me explain. I am a mosquito magnet. The last time I went to Jamaica, I was literally covered in mosquito bites. I’m packing the long sleeve just in case we’re doing anything outdoor related in the evening so I’m a bit more covered up and a tad bit harder to bite. The top is very lightweight and because Jamaica is mountainous and temperature may vary in different parts, I thought why not? It doesn’t take up a lot of space, it’s made of wrinkle-free material, and it’s cute so I’m tossing that into my suitcase. Not pictured is a ball cap I’ll be bringing with me that I got from Roots last year in two colours. I’m still undecided if I want to bring grey or pink with me. LOL. I know a lot of people prefer sun hats for the island but I don’t really want to try and fit that into my suitcase or wear it on the plane ha. Oh and I kinda hate wearing pants sooooo no pants will be included in this packing list ? Add pants to your own discretion. Swimsuits | Don’t be like me last time and forget to pack an extra swimsuit. I’m packing the two swimsuits I purchased from Joe Fresh from when I went to Myrtle Beach. I also apparently own 4 bottoms and 2 tops so I may be throwing an extra one in before I leave. Not pictured is a swimsuit cover that I’ll also pack because I fell asleep on the beach a few months ago without a cover on and came back 100% sunburnt. At least with a cover, if I forget my sunscreen application, I’ll only be 50% burnt ha. I’ll also be swimming with some horses with Half Moon so I’ll definitely need more than one swimsuit. Gym Clothes | I’m packing one tank top from New Balance (similar), a pair of leggings, and at least one pair of tracker shorts from Lululemon, and 5-6 free to be (and wild) bras from Lululemon. We may be participating in yoga so I want to be prepared and I pretty much live in sports bras so I’m packing those instead of a regular bra. They also absorb sweat and dry way better than regular bras. I may also bring a pair of running shoes with me as well if there’s room left over. I am personally fine with walking with just my Birkenstocks as they have fantastic arch support but if we into the mountains, I’d prefer running shoes over my Birks. Sprays, Lotions, and etc | Mosquito magnet over here will be packing a can of bug spray with deet in it instead of looking for some on the island. I’ll also be packing itch relief from Polysporin in case I do get stung, and some Reactine in case of an allergic reaction to the bite. I’ll also be packing sunscreen, lip balm with SPF, sunglasses, and Aleeve in case of migraine. I know, it’s a lot, but I’m usually the one with everything and will share with you if you’re stung, have a headache, or sunburnt! These are not pictured above as I don’t think you need to know how my long-ish rectangular phone looks like. Carry-On Bag | adidas backpack from their Team Canada line during the Olympics. Luggage | Just a plain one for me, nothing special. I usually go with a hard shell luggage. Camera | I’ll be bringing my DSLR in addition to my GoPro so it can go into the water with me. Bottles | I have a bad habit of forgetting to empty my bottle before going through security so don’t be like me lol. I usually bring one of my S’well bottles because they keep my drink cold/hot for an insanely long period of time. Portable Chargers | I’m probably going to be bringing 2-3 portable chargers with me because my handbag is not heavy enough. I’m used to carrying an extra when I take trips with my partner so I’ll just keep the extra with me in case someone else needs it. Entertainment | An iPod for the flight over and back. So yeah, I think that’s everything. Other than PJs, I think I have everything covered. Don’t judge my over packing guys! I like to be very prepared ?. I mean, remember when I packed almost 3 bags to go to Ottawa for a week? 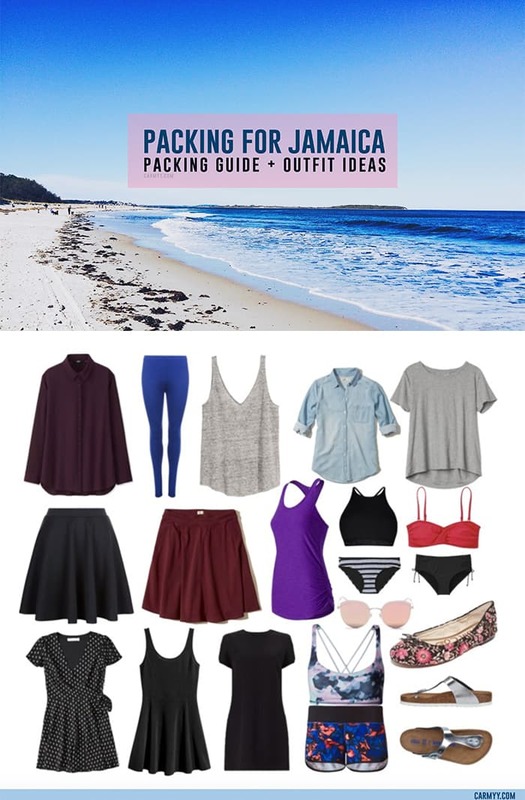 Anyways, if you’re reading this because you’re heading to Jamaica soon, I hope my packing for Jamaica list helped you narrow down yours! 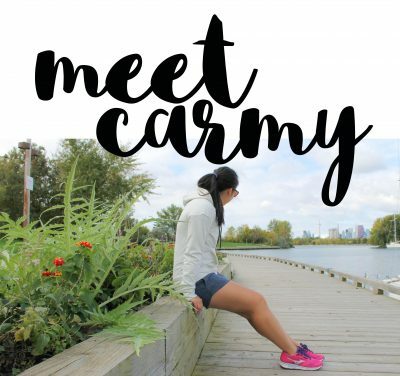 Don’t forget to follow along on @runcarmyrun and @curiouslychasing on Instagram for daily updates of my trip! Let’s chat! Are you an over-packer? Do you try to stay active and bring gym clothes with you on trips? 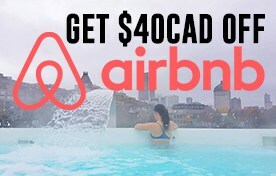 The links above are affiliate links. Affiliate links help support this blog – when you make a purchase using my link, I get a small percentage of the sale with no extra costs to you. Want more Jamaica? Check out my travel dairy! You just need a spreadsheet of outfit breakdowns and you’re good to go!! Obviously I need better sportsbras because I cannot wear mine all day. nope. Underpacker because shopping 🙂 I figure I can always buy whatever I’ve “forgotten” at home! Love the packing guide! Have an amazing time in Jamaica. Super jealous btw. Love your picks 🙂 Have a fantastic trip and the best time EVER! Great packing guide! I am all set now if I ever make it to Jamaica! I could totally use a trip to Jamaica right now if you want to add to your overpacking and shimmy me into your suitcase 😉 I like staying active on vacay and actually find I have an easier time doing so then compared to ‘normal’ everyday life when I have a lot going on. This makes us want to go start packing now and leave! Jamaica is surely on our to-do list and really can’t wait to go! Thanks for the great guide! Jamaica? Mind if I come along? Have a great trip! Capsule wardrobe packing is so much fun and so challenging while in progress too. Love the collection you have shared here. Pants should be avoided, I agree. You do need a gopro when you are going to Jamaica. Loved the tips. Pretty useful. I love packing for a holiday trip so when I come across blog posts like this one, I get very happy! 🙂 Even if pants should be avoided, I always take a pair with me because you never know how chilly it can get with AC places, especially in the airplane! great outfits! Great packing list. I think I’m generally an over-packer. But on purpose. I don’t want to run out of clothes. This is a great list for Jamaica. I do remember when I went, we visited the Dunn waterfalls (I think that was the name) and I was seriously wishing I had some water shoes. Those rocks were slippery! Enjoy your trip. Wow you are lucky indeed ! I would love to visit Jamaica one day! Your outfits sounds perfect ! I am saving it as hopefully I’ll be packing my own bag to Jamaica soon! So jealous ! Have lots of fun ! Thanks for putting the reminder to always bring two swimsuits on this list. I always forget, and life is so much easier when you don’t have to worry about whether your swimsuit will dry overnight! Amazing packing list, Carmy! I will definitely use and reread your post and tips! What are your highlights of Jamaica? Never been to Jamaica and now I wanna go AND buy new clothes. Like your I bring exercise clothes every time I travel. There was one time I forgot the sports bra and really needed it! That is a great packing list. Have fun in Jamaica, it is beautiful I went there last year. Just like you, I hate wearing pants too. Infact I hate it even when I am home!Your packing list more or less accommodates everything necessary. Nowadays, I have started packing keeping in mind the ‘colour co-ordination with the locales and spots we would be visiting’ for those instagram worthy pictures!! No wonder my husband gets mad at me!